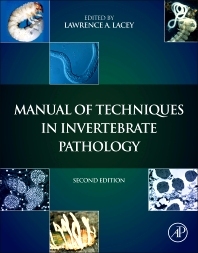 Manual of Techniques in Invertebrate Pathology, Second Edition, describes a wide range of techniques used in the identification, isolation, propagation/cultivation, bioassay, quantification, preservation, and storage of the major groups of entomopathogens, including entomophthorales, entomopathogenic fungi, entomopathogenic bacteria of the Bacilli, Nematode parasites, and pathogens and parasites of terrestrial molluscs. The book presents the perspectives of an international group of experts in the fields of invertebrate pathology, including microbiology, mycology, virology, nematology, biological control, and integrated pest management. Organized into 15 chapters, the book covers methods for the study of virtually every major group of entomopathogen, as well as methods for discovery and diagnosis of entomopathogens and the use of complementary methods for microscopy. It discusses the use of molecular techniques for identifying and determining phylogeny, factors that contribute to resistance to entomopathogens, and several other aspects of the science of invertebrate pathology. It also explains initial handling and diagnosis of diseased invertebrates, basic techniques in insect virology, and bioassay of bacterial entomopathogens against insect larvae. In addition, the reader is introduced to the use of bacteria against soil-inhabiting insects and preservation of entomopathogenic fungal cultures. The remaining chapters focus on research methods for entomopathogenic microsporidia and other protists, how the pathogenicity and infectivity of entomopathogens to mammals are tested, and preparations of entomopathogens and diseased specimens for more detailed study using microscopy. Experienced insect pathologists, biologists, entomologists, students, biotechnology personnel, technicians, those working in the biopesticide industry, and government regulators will find this manual extremely helpful.